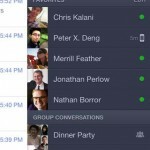 Rumors we’ve heard say that the project could actually be called “Facebook Home”, and its hallmark would be a heavily Facebook-ified mobile phone home screen. This could include Facebook news feed stories and data splayed out right on the home screen, along with easy access to Facebook apps. 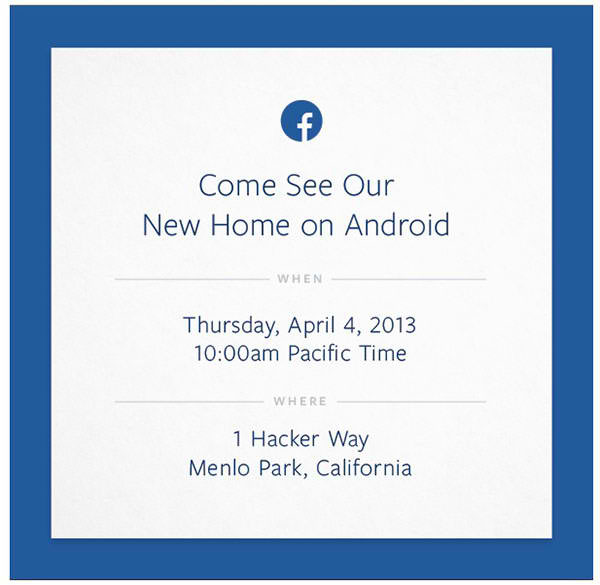 If the project is indeed called Facebook Home, then it makes perfect sense for Facebook to come up with the teaser, "Come See Our New Home on Android." I dare say the wordplay even reminds me of Apple's invitation for the Retina iPad event from last year, with which it teased, "We have something you really have to see. And touch." But could the launch of the so-called Facebook Home be as momentous as the launch of Apple's Retina iPad aka "The New iPad"? We'll just have to wait until April 4 and see. And probably touch. 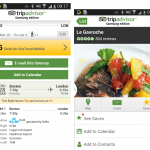 Updated: Should iOS 7 Come With Third-Party Apps Preinstalled?